SOFTBALL: Men's softball hit off on Thursday night with Blue Jays scoring a 13-3 win over Red Sox at The Warren Dinte Diamond. Red Sox coach Nigel Jones said the game was a good way to get some players ready for a good season of competition. There was a good-sized crowd to watch Australian pitcher Mike Ludkin work well with Queensland catcher Josh Ferguson to lay down a winning combination. "The Blue Jays had Ludkin and Ferguson as the pitcher-and-catcher combination and Brock Finlay hit four automatic home runs and that helped to set them (up) for a win," Jones said. "The Red Sox still held their own with Terry Jenkinson looking solid in the batter's box and pitcher Anton Smith was impressive as well." Jones saw potential in the team and said they could only improve from having played the first game of the season. "We have some older blokes who haven't played for years and once we get some more games under our belt and training," Jones said. "There are uniforms being organised for the Red Sox players and it is good to give the young players a competition to play in and help them develop their skills." Men's competition co-ordinator Joe Ludkin said there was a lot of work to do to get the local competition up and going but there were more positives than negatives from the first night out. "We had two full teams turn up on the night with some reserves and the numbers are looking good," Ludkin said. "There will have to be a bit of a swap around of players in the teams because of work commitments." 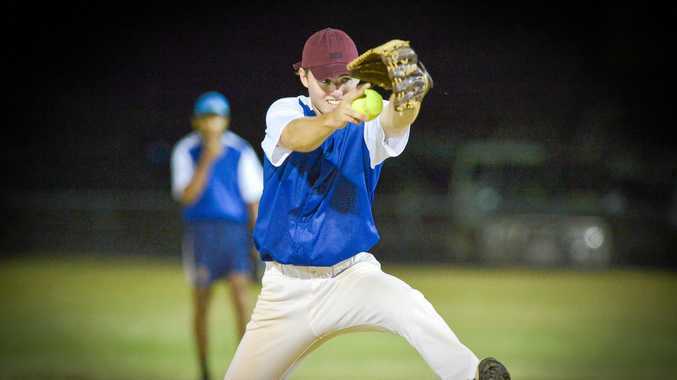 Ludkin was optimistic about the possibility of a junior competition growing from this resurgence of men's softball. "We could even look at an under-17 competition or something like Colts to the give the junior boys a pathway to help them progress into seniors," Ludkin said.